Lacona Beach is a long sandy shore that stretches for more than 1 km and is characterised by magnificent dunes of fine sand. 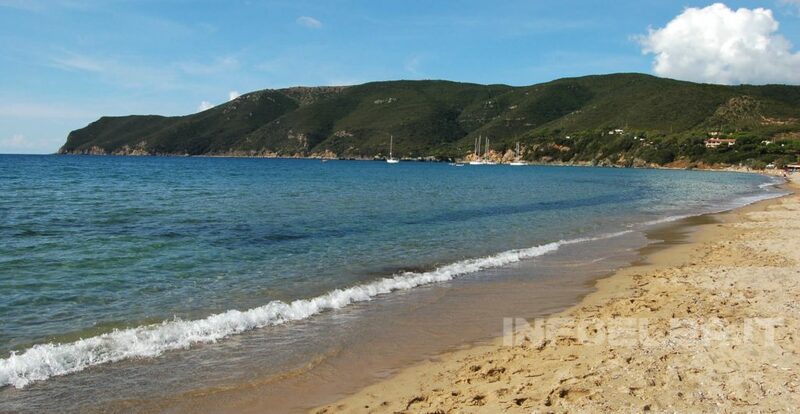 The beach opens in toward the Gulf of the same name, formed by the two verdant peninsulas of Capo Stella and Capo Fonza. Further out, the sand is replaced by a bed of rocks and Posidonia, ideal for snorkelling and scuba diving. This beautiful beach is well sheltered from the currents, especially to the East, and can be easily reached from all sides. On a clear day you can enjoy the view of the island of Montecristo.